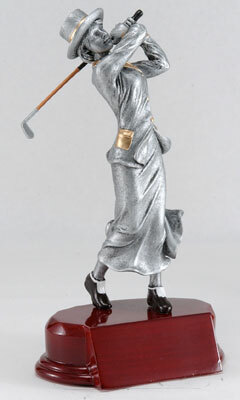 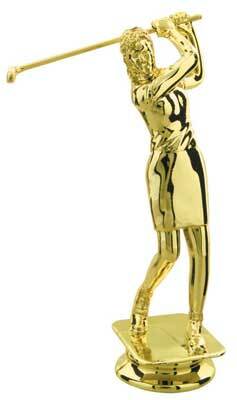 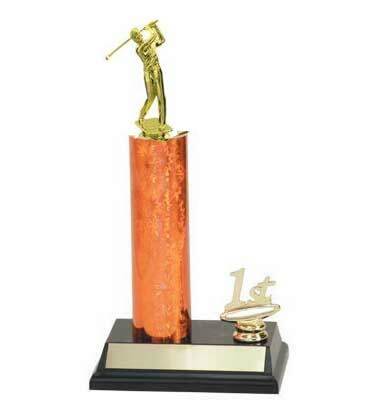 Check out all of our latest golf trophies for your next golf tournament. 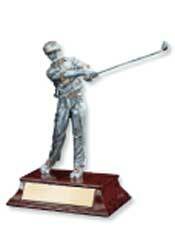 We have a wide variety of golf trophies to accommodate any budget. 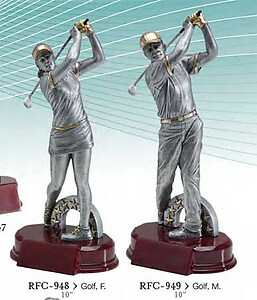 We have men's golf trophies, womens golf trophies and non gender golf trophies. 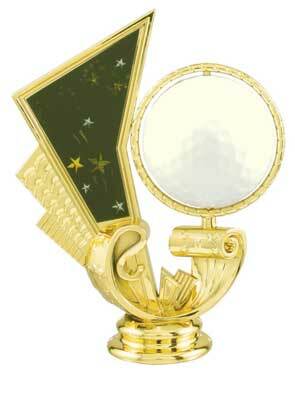 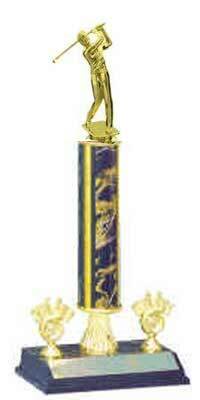 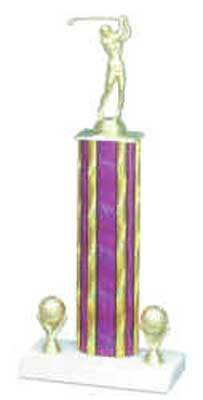 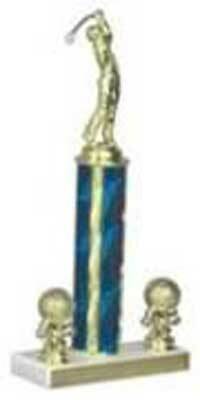 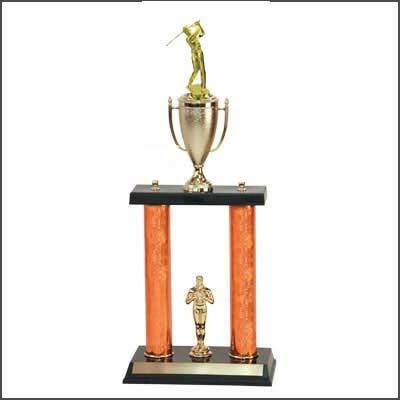 Our golf trophies make great awards for golf tournaments and company golf outings. 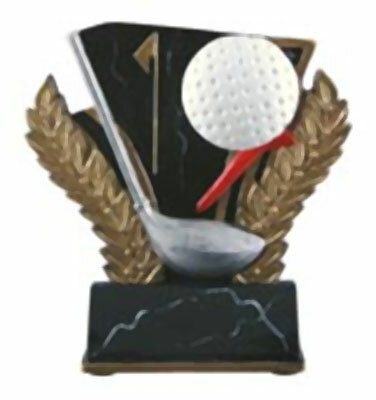 They are also great to give for your special awards like a hole-in-one, longest drive or closest to pin. 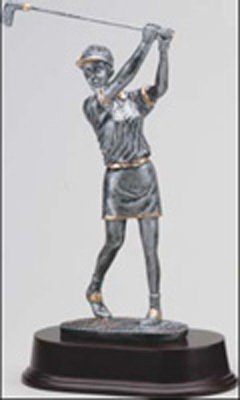 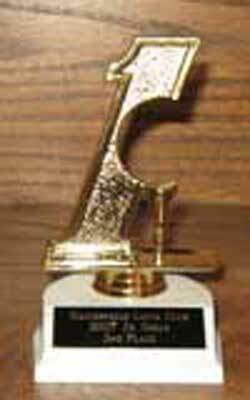 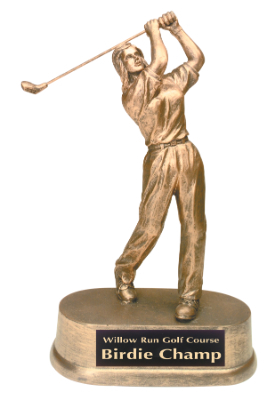 We offer the basic figure and base golf trophy, which is a very economical trophy at the price of $5.00, to the classic four post golf trophy for $50.00. 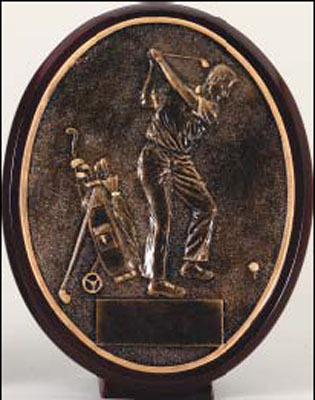 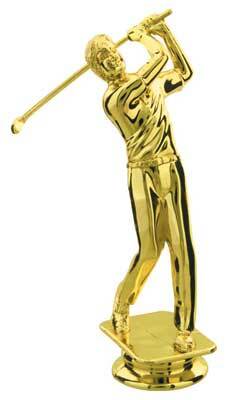 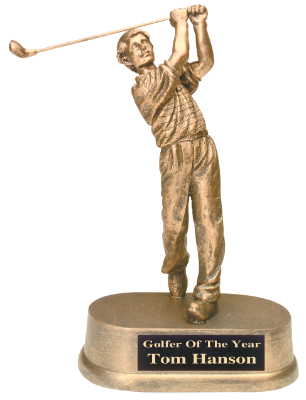 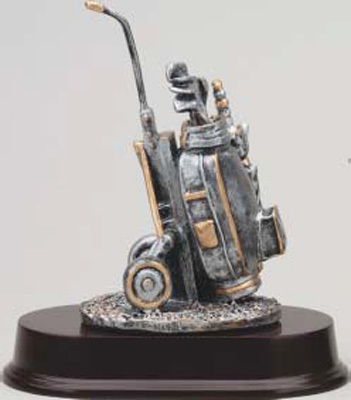 If you're looking for something a little less traditional check out our golf resin trophies. 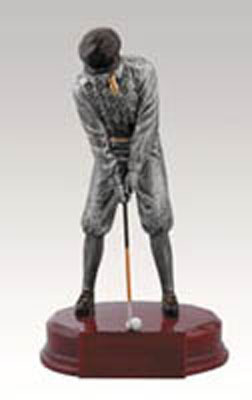 They also make a great gift for the golfer in your life! 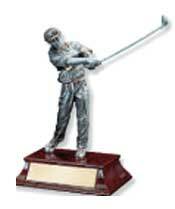 Scroll on down the page and when you find a golf trophy you like, just click on it to get more information about it. 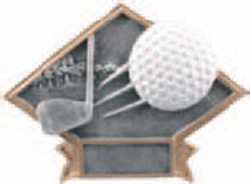 If you have any questions please contact us at 800-787-8777. 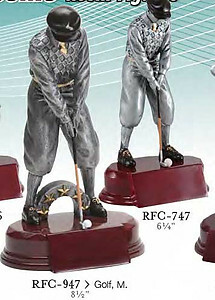 Prices start at $12.75 and go down with the more you buy. 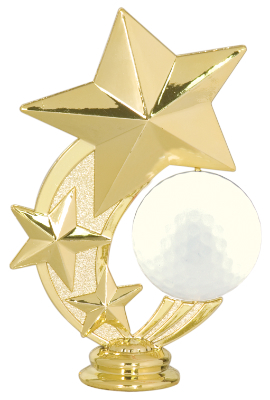 Prices start at $8.99 and go down with the more you buy.